The 30th Canadian Kyokushin Karate Championships will take place on Saturday May 4th, 2013 at the British Columbia Institute of Technology (BCIT) in Burnaby BC, Canada. Over the past 30 years the tournament has established itself as a premier martial arts event and has the distinguished title as being known as the longest running event sanctioned by the International Karate Organization (IKO) in North America. Fittingly we have given this anniversary of the tournament the theme PAST, PRESENT FUTURE. This year Canadian Karateka are thrilled that the president of the (IKO) Kancho Shokei Matsui, will be celebrating our special milestone by attending the tournament for the first time. Once again, the tournament will host over 200 competitors from around the globe, and will offer Kata and Kumite divisions for every level of competitor, from young children to advanced adults. 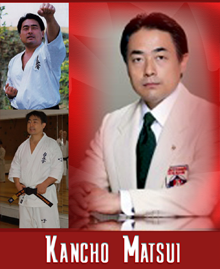 To top off an exciting weekend, Kancho Matsui will be holding a training Seminar on Sunday the May 5th from 10am-12pm. This year you will notice all information for our event is online including registration, after looking through the site, you will see it is just one of the many changes we have made to make our tournament better for the future. Please mark off your calendars and we hope that you and your families will be able to join us for this truly historical event the 30th Canadian Kyokushin Karate Championships PAST, PRESENT, FUTURE.